Due to the erratic New England weather and seasonal changes, outdoor pools can’t be used year round. Here at Rogers Pool & Patio, we understand the importance of proper pool maintenance. We carry a variety of winter and safety covers to protect your pool during the colder months, so it’s ready and waiting for your come spring and summer. 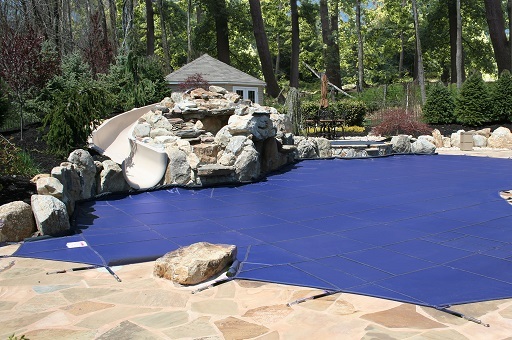 Our brands of preference are Meyco Pool Covers and Loop-Loc Covers. Strong and durable, Meyco carries winter and safety covers such as MeycoLite, Rugged Mesh, and PermaGuard. Loop-Loc carries its Super Dense Mesh pool covers in colors like black, gray, green, tan, and blue. Rogers Pool & Patio is dedicated to customer satisfaction, and so we carry all the pool liners, supplies, and toys for a one-stop pool shopping experience. Contact Rogers Pool & Patio at 978-454-5517 or visit us online or at 150 Mill Street Lowell, MA.